How are the houses being rebuilt? 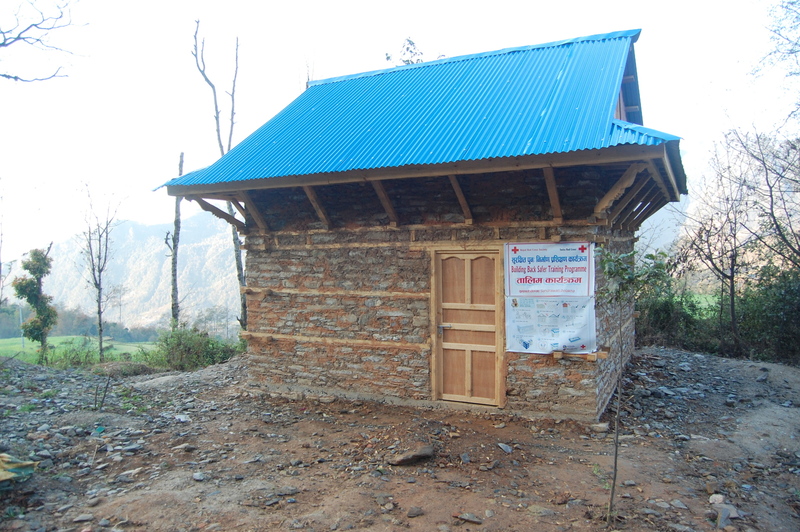 Through housing reconstruction and technical support, the Nepal Earthquake Housing Reconstruction Program is building back better throughout Nepal, and is strengthening the government’s ability to improve long-term disaster resilience in the country. 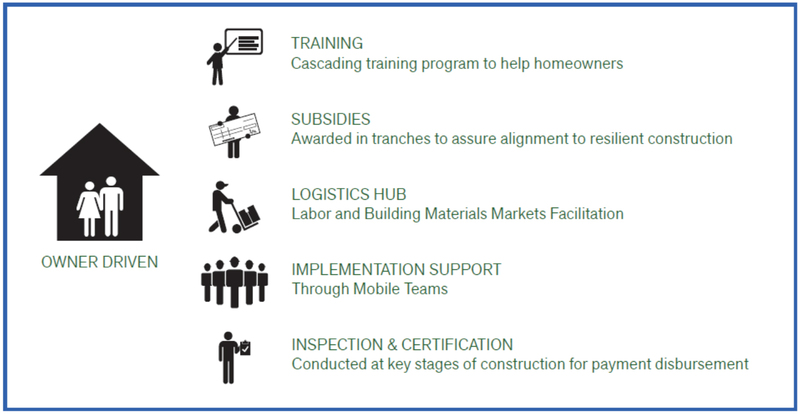 Overall, the goal of the reconstruction process is to ensure that the housing stock destroyed in the most-affected districts of the country will be rebuilt using earthquake-safer building techniques to minimize the risk of damage in a future natural disaster event (flood/landslide/earthquake). The Nepal Earthquake Housing Reconstruction Program is being carried out through an owner-driven approach supported by: (1) training for beneficiaries and masons in earthquake-safer techniques, (2) a cash subsidy of NPR 300,000 for program beneficiaries provided in three tranches based on proper completion of various stages in compliance with Nepal's National Building Code (NBC), (3) facilitation of labor and building materials, (4) community mobilization to support beneficiaries with the different stages of reconstruction, and (5) final inspection and certification of resilient construction.